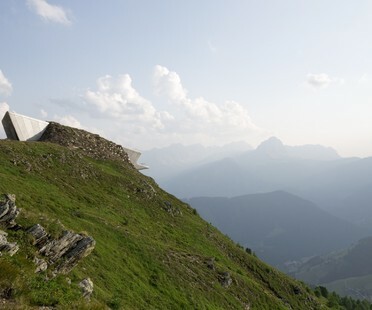 The museums dedicated to the mountains commissioned by Reinhold Messner received the Andrea Palladio Prize Italy, dedicated to those clients who commissioned a series of architectures significantly enhancing the progress of the community. In the restoration of the Fortress in Fortezza (Bolzano), architect Markus Scherer restores the existing heritage and gives the fortress a new configuration and volumetric structure to replace the original one lost with the construction of highway SS12. The structure now contains the BBT Infopoint, with exhibition spaces about the Brennero Base Tunnel, offices and a multi-purpose hall. 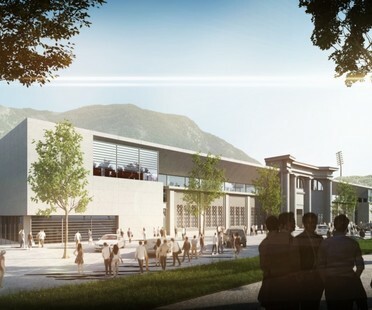 An Italian/German team made up of architectural practices gmp and Dejaco + Partner of Bressanone has been appointed for the restyling and expansion of Bolzano’s Druso Stadium, a Rationalist building constructed in 1930. Comparing architectural projects and the works by other kinds of creative artists, from photography to literature, from graphic design to industrial design: this is “punti di contatto”, literally points of contact, or perhaps connections would be a better word. In the spectacular setting of the apple orchards around Bolzano, architect Peter Pitchler has built two luxury homes that are not only surrounded by natural beauty but reflect it all around them. 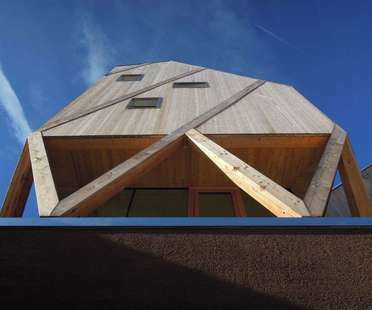 Taking a new look at traditional Alpine architecture, MoDus Architects (Matteo Scagnol and Sandy Attia) have built a residence and atelier for artist Hubert Kostner in Castelrotto, in the province of Bolzano in Alto Adige. Designing a contemporary building with roots in the past, MoDus uses traditional materials in a contemporary way, innovating in the design of the home and workshop. 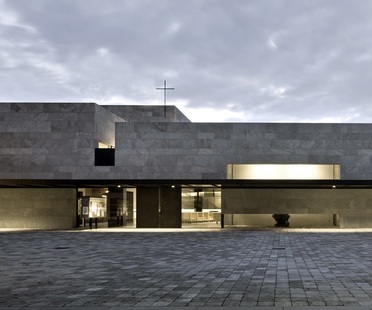 The parish centre designed by the architectural practice Architetti Delueg has won the 2013 Alto Adige Prize for Architecture and the prize in the "Public" category. In the autumn of 2011 the Oberalp-Salewa group inaugurated its new headquarters in Bolzano, designed by the studios of Cino Zucchi Architetti and Park Associati.